Minneapolis is increasingly becoming a “comics town”. While it doesn’t have the publisher presence of Portland, it’s filled with comics creators of all stripes, from mainstream guys to indy creators to web cartoonists. 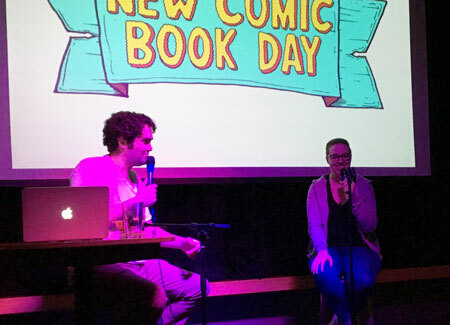 It also may be the only town in the U.S. where New Comic Book Day is a bar event every Wednesday, with comics giveaways, standup comedy, and a creator interview! 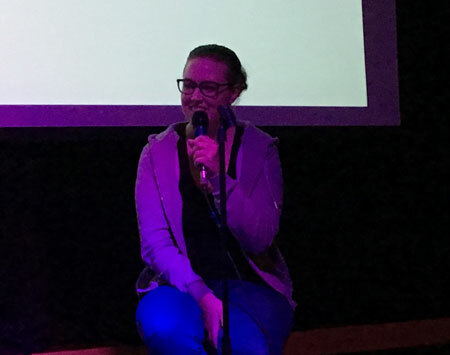 Katy Rex, writer of Jade Street Protection Services, from Black Mask, editor of another Black Mask title, Kim and Kim, and writer of a forthcoming Dr. Who special from Titan Comics. She also works at local retailer Hot Comics. Eliot Rahal, writer of Bloodshot’s Day Off and other books from Valiant, and a host of the New Comic Book Day event. John Bivens, artist on Image Comics’ Spread and Dark Engine. Also, you’ll hear Eliot interviewing Kristin Tipping, creator of Evil Witch Allie, a comic we’ve critiqued! 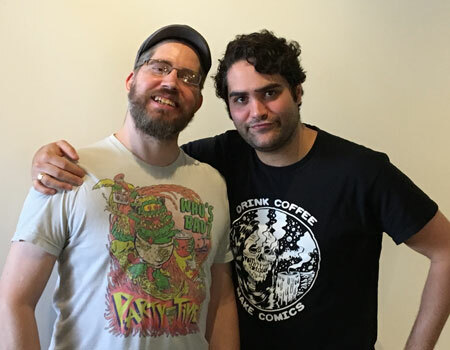 Become a patron and you can see video of some of the standup comedians at New Comic Book Day! Welcome back! We’re on Episode #2 of the Weekly Comics News Show — an (obviously) weekly program that brings you the latest in comic book news, releases, and more. 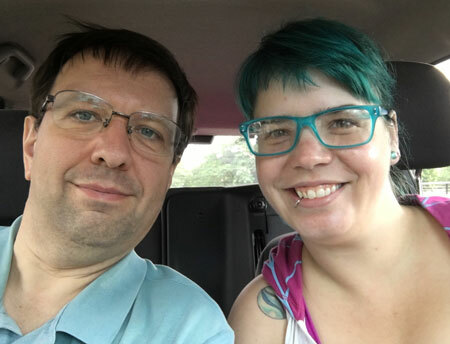 Host Patrick Aloia and his guest hosts (this week — Kay Honda) will scour through releases and news stories every week to get you exactly what you need to be up to date in the world of comics. Miss last week’s episode of the “Weekly Comic News Show?” Check it out here! This week we’re featuring stories on STAR WARS: ROGUE ONE comic release, the app HOOPLA, and Marvel’s MONSTERS UNLEASHED. The ROGUE ONE comic is set to add more to the ROGUE ONE story, the HOOPLA app is going to have DC REBIRTH comics available for reading, and the highly anticipated Marvel event MONSTERS UNLEASHED is finally coming out. For DC, we’re also talking about RAVEN #5, which is just as excellent as the rest of Marv Wolfman’s series has been, BATMAN #15 which will continue to explore the relationship between Batman and Cat Woman. For Marvel, we have IRON MAN #3 and the final issue of Genndy Tartakovsky’s CAGE. For Image, Sean Lewis’ THE FEW has us very excited, along with Ed Brubaker’s KILL OR BE KILLED, THEY’RE NOT LIKE US #13, and more. We’ll also talk about Valiant’s HARBINGER RENEGADES #3, and IDW’s REVOLUTIONARIES. Want more Kay? Check out her interview with Simon Graves at Flame Con last year! Stay tuned for new episodes of the Weekly Comics News Show, and on all of ComicsVerse’s video content. Check out our Facebook Live and Instagram Live videos while we produce the show to meet the hosts, the crew, and get a peek at what it takes to get a weekly show running. Another jam-packed episode for you guys. Our list of comics just keeps growing. I wonder how long it will be before they engulf us completely?